With Imaginet’s expertise, a leading specialist in air transport communications verified the viability of converting their existing on-prem flight tracker software solution into a modern, responsive web application. A global leader in the air transport industry that works with over 400 air transport owners, also supports 95% of all international destinations covered by their extensive communications network. 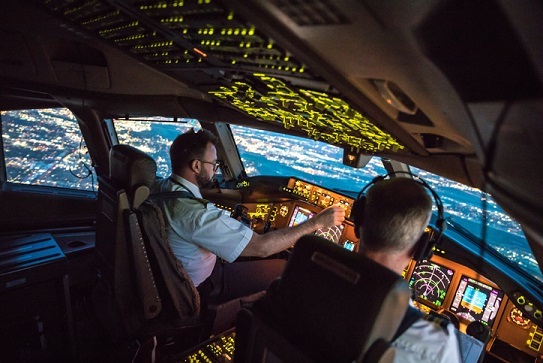 They collect flight and aircraft information from different systems and display it in a consumable, distilled way to their flight tracker software users, including air traffic controllers and any organization that uses airspace. The flight tracking portion of their existing Windows application showed a map with detailed panels and groups of related information, but the client was concerned about keeping it fast enough to translate the growing thousands of flights in their network if moved to web technology. Their existing flight tracker software was part of a local server platform that their clients were accessing for information. They were investigating how to move it from on-prem to the cloud and wanted to verify the feasibility and viability of converting their application to web interface. The business goal was a Proof of Concept (POC) to convert the current interface of their flight tracker software into a standalone and scalable, responsive web interface. They wanted to assess the feasibility of bridging the new web application with non-web-based external components and integrating it into their environment. They could then evaluate and benchmark the new flight tracker interface against the current one. They had already engaged with other IT consultants to perform the POC, who suggested that the new application would run about 20 percent slower if they moved it. Their in-house team also attempted to develop a flight tracker software solution, but was not able to deliver a new app that was at least as fast as the existing one. They knew they required more modern web development techniques to keep customers engaged, while reducing the load on the browser. When they contacted Imaginet, our developer consultants were confident that we could more than meet their requirements. 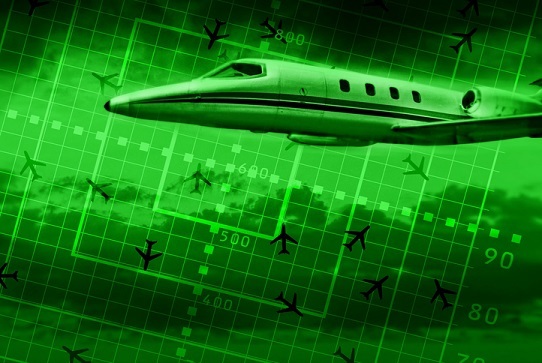 The proposed app was meant to display flight and aircraft information for over 3000 flights at one time, on one screen, with the ability to drill down further for details. Of the many constraints with this development, the new flight tracker interface had to use the latest version of the .Net Framework. It required testing in their environment before POC acceptance, and it also required database configuration so that a password was required for every local user. With assurances that Imaginet could deliver the app, and one that can handle the consumption amounts required without performance degradation, a 2-week Architectural Design engagement began. Imaginet’s Senior Architect went onsite to meet with the clients’ technical team with a goal of gathering requirements and reviewing the technical documents created for other vendors. After a review of the existing solution and architecture, Imaginet determined the scope of the web application with respect to functionality, determined typical use cases, identified integration points and service layers that needed support, as well as key performance characteristics required by the flight tracker app. Once offsite, Imaginet analyzed the captured information and presented the POC project deliverables including, a conceptual architecture diagram of the application, a detailed description of their components, a full description and rational for the technical stack, and the identification of integration points and dependencies on their server. Imaginet also presented additional POC goals, defined the scope and initial product backlog, outlined resources, duration, tasks, artifacts/deliverables, and delivered a project plan and budget. Using Agile methodologies, Imaginet’s team worked remotely, but collaborated daily with their 4-person in-house development team. The client team wanted to move ahead with the most innovative UI framework at the time (Angular 2) despite the risks they might encounter with their complex infrastructure and integration points. After some additional user research, Imaginet started to update the user interface using Angular and a material design library from Google coupled with AG-Grid. As a team, they encountered most of the issues Imaginet had suggested, as the libraries were not as mature as the platform, but Imaginet’s niche developer consultants completed the solution with their technical expertise. Imaginet developed a flight tracker web application on Azure that exceeded the speed requirements, ensuring the ability to access flight information for over 3000 aircraft at one time. With a proven POC, the client proved to their management that they could successfully move their flight tracker software solution to the web and take the company in a new direction.